As someone that has lived on the west coast all my life, I am now following the misses to Melbourne for a few years. I know there are kiters there, but looking for some detailed info, on wind range, season time, where are the spots, and are there any waves for downwinders or is it all flat water? 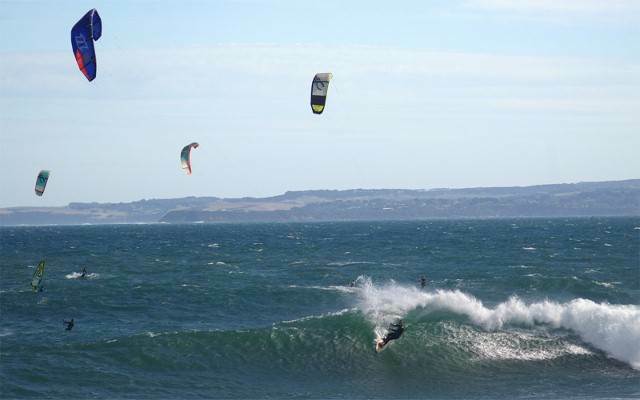 Should I forget about kiting and sell all my gear and wait till I come back to Perth? Wind all year round. 7, 9 and 12. Waves an hour and a half drive from city both east and west coast. Can kite every direction if you have a car. Closest spots to city are st Kilda Brighton and Altona. ****in cold on winter 4/3 wettie. I am now following the misses to Melbourne for a few years. ... nah dude,, that's a great idea,,,,, she works and he kites,,,,,, gets to taste other waters and meet new friends,,,, sounds ok to me! I did the opposite to you and came from Melbourne to Perth. 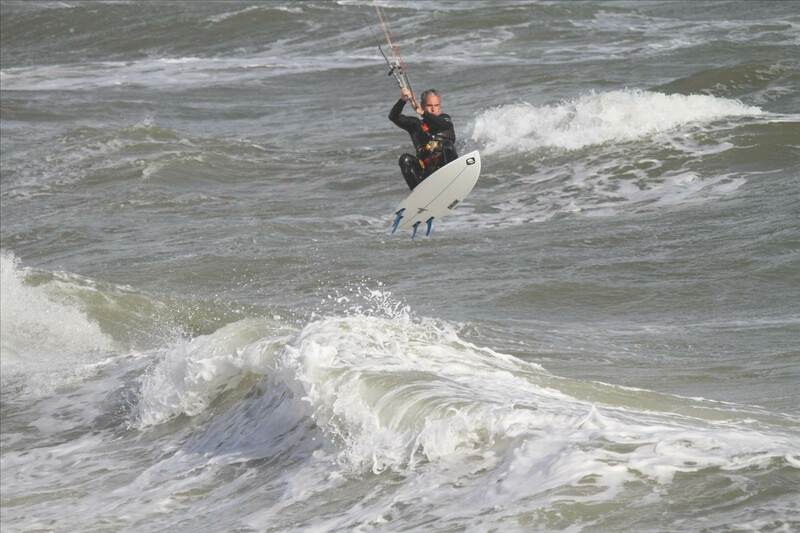 I'm not sure that i could go back to kiting in Melbourne now, i could certainly go back to living there though. The weather is unpredictable, never really know what you are going to get. I reckon i used to get out just as much in the winter as i did in the summer and i don't mean that as a positive. In the winter the water is freezing, in the summer its still cold compared to Perth. Flat water in Melbourne isn't as flat as in Perth (the only exception possibly being St Kilda which is tiny) and waves have nothing on Perth. If you enjoy riding on choppy mush however you will be in heaven. Its not all negative though, Victorians are mostly awesome people. Welcome to Melbourne. 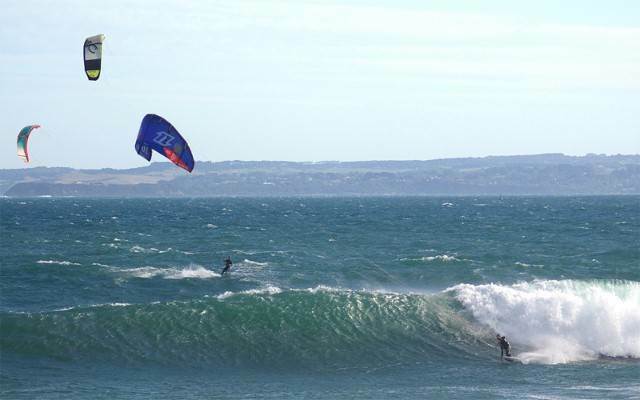 It is not Perth but it is an amazing place to kite or surf all year. Yep 12,9,7 and you're covered all year. If you're city based then invest in a twin tip and you can try something other than going backwards and forwards on the flats of the Bay. There are some do and don't go places. .... This link, curtosy of PeterC on this site will give you a good start. Im sure plenty of people are happy to have a beer with you, drop in to The Zu and Kite republic to have a chat to the guys and im sure you will meet a slew of people pretty quickly. any sense of area you are looking to move to? Good on ya I can get 25 deg out side for you, but the water temp is a lovely 16 deg Sh## thats ok we never fall off !!! Looking at innercity living at the moment. Docklands, Southbank or South Melbourne? I've been told to stay away from the inner city suburbs in the west. I disagree, I've got friends who live in Yarraville and I reckon it's a great area (coming from a Sydneysider). Nice houses, good cafes, 10 mins on the train to the city, and more importantly a 15 min drive to Altona from there. Try to live bayside, Elwood, Brighton, Sandringham, pubs food people no aggro I loved Melbourne, they do know how to party, a earthcore party is good way to get the vibe.